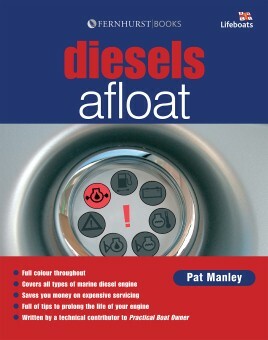 Diesel engines are installed in just about every yacht and in most large motorboats. This book explains how to prevent problems, troubleshoot and make repairs using safe techniques. It will help you save money on expensive bills for yard work you could do yourself. Diesels Afloat covers everything from how the diesel engine works to engine electrics, from fault finding to out of season lay-up. With this guide and your engine’s manual you can be confident in dealing with any problem, and get the best performance from your boat. Pat Manley is a keen sailor and one of Practical Boat Owner magazine’s team of experts, answering readers’ questions. He is author of Fernhurst Book’s Essential Boat Electronics, Diesels Afloat, Electrics Companion, Diesel Companion and Practical Navigation.